Uniquely crafted in Scott Kay's trademark 19k white gold, this fabulous Diamond Ring features a Semi-Mount with 6 round diamonds, .42TDW, classically designed with beautiful scrolling leaves. This Scott Kay design is beautifully appointed with side diamonds that perfectly accent your hand selected center stone and provide just enough sparkle to truly enhance the featured diamond (Center stone sold separately). You can find this sensational diamond ring and the entire Scott Kay Collection at Tara Fine Jewelry Company, a family owned jewelry store located in Buford, near the Mall of Georgia. At Tara Fine Jewelry Company, you will find the most exclusive designer bridal jewelry lines including Forevermark, Tacori, J.B. Star, Scott Kay, and Jack Kelege. 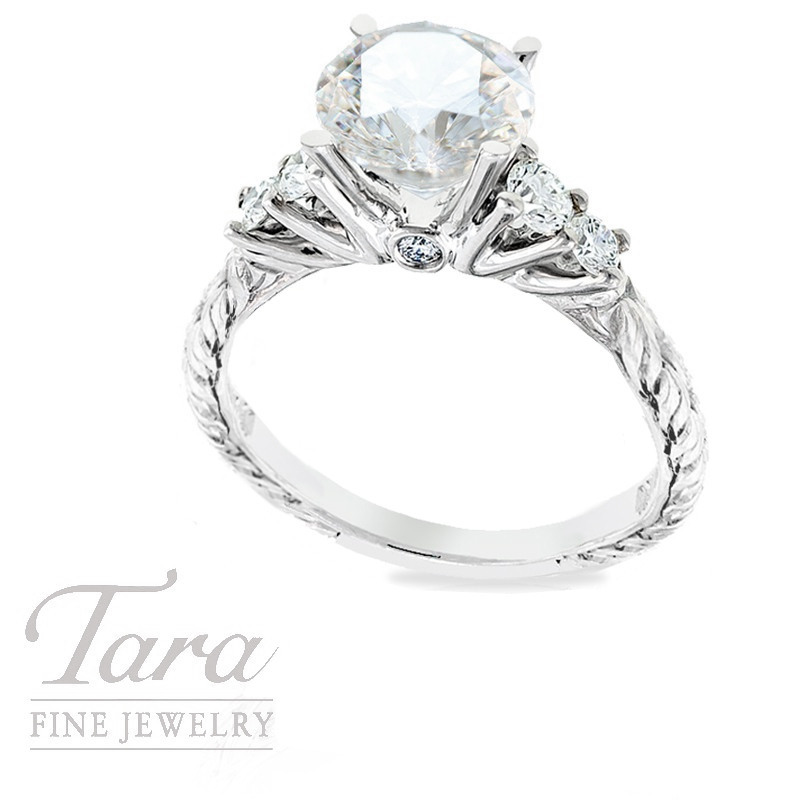 Visit Tara Fine Jewelry Company today to find the engagement ring of your dreams! This item is a Special Order Item only. Please know that we would be happy to order it for you! Give us a call today for more information on pricing and availability.